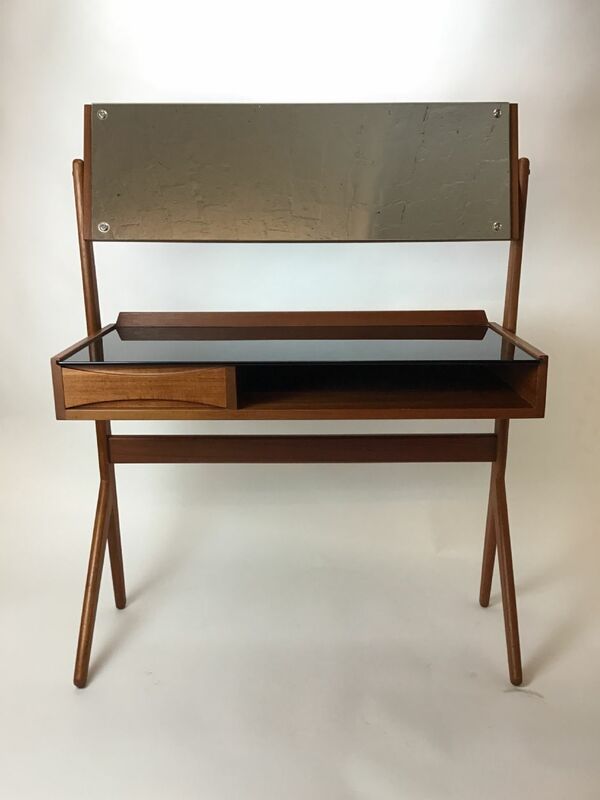 Vanity in teak veneer. Tabletop in black glass. 1 drawer and 1 shelf. Sewing table in teak veneer. 2 drawers and 1 cane drawer. Nesting tables, rosewood. Set of 3. Nesting tables, rosewood. Set of 2. Design Johannes Andersen for CFC Silkeborg. Narrow legs and tapered edge.